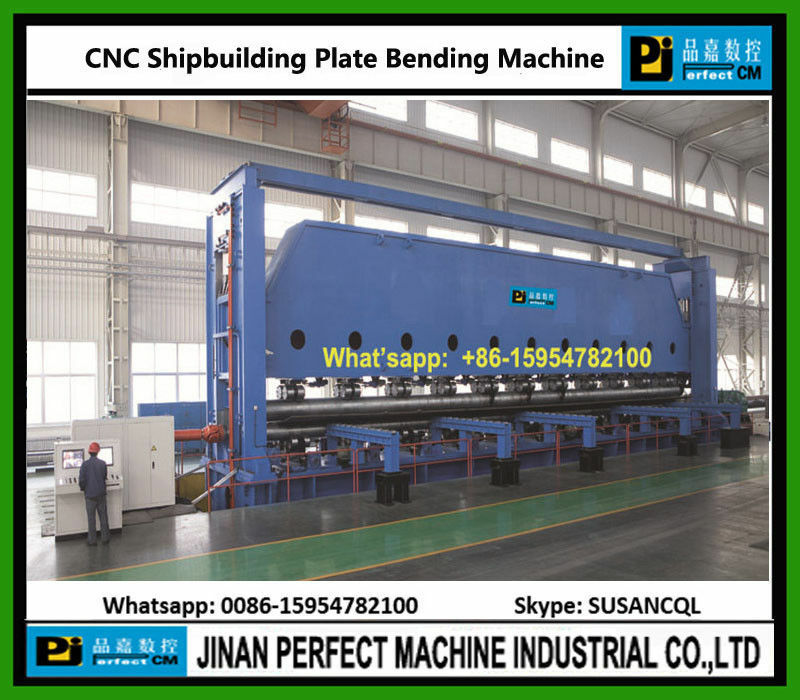 This machine is used to bend the large plate for the shipbuilding industry. 1. This Machine is developed and designed under the guide of our Germany expert,we have the whole independent intellectual property. 2. The machine is composed of the top roller assembly, bottom roller assembly, bed, left frame, right frame, support roller assembly, balance assembly, main drive assembly, oil cylinders, hydraulic system and electric system. 3. Adopt double main motors driving system which has the advantage of compact in structure, good in performance, low in energy consumption. 4.We have export the machine WE11N-35X13 500 to vietnam (Thickness 35mm,length 13500mm). Should Your Excellency need more information for other Models, please send us your inquiry.